Manchester United are expected to be busy in this summer’s transfer window as Jose Mourinho looks to strengthen our squad to challenge for next season’s Champions League. We have already signed full-back Diogo Dalot from FC Porto and central midfielder Fred from Shakhtar Donetsk. Jose can be expected to bring in another central midfielder too following the retirement of Michael Carrick and expected departure of Marouane Fellaini, whose contract expires at the end of the month. A number of potential Fellaini replacements have been linked with joining us, with Lazio’s Sergej Milinkovic-Savic many bookmakers’ favourites. However, reports today suggest we could make a shock move for a central midfielder from Premier League rivals Arsenal. The Manchester Evening News say that Jack Wilshere could be the ultimate bargain for us this summer. The 26-year-old’s contract at Arsenal is due to expire at the end of the month and there’s no sign of Wilshere signing a new deal at the Emirates Stadium. 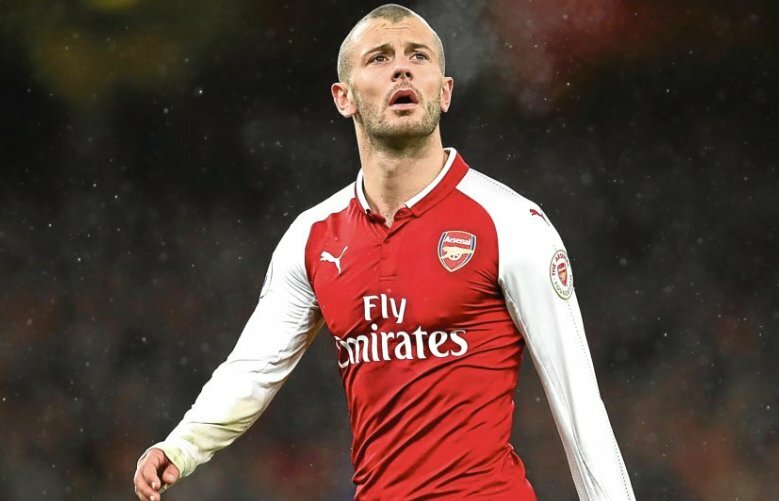 Journalist James Robson believes that Wilshere has the potential to be the bargain of the summer and that he could be rejuvenated with a move away from the Gunners. We’ve certainly spent a lot of money over the past couple of years so to pick up Jack Wilshere on a free transfer would make some sense. Firstly, it wouldn’t have an impact on Financial Fair Play, and secondly, any further centre midfielder we sign this summer is likely to be a backup or rotated in at best – therefore the cheaper, the better. The trio of Nemanja Matic, Fred and Paul Pogba is looking likely to be what Jose goes with for the majority of next season in his 4-3-3 system. Arsenal fans certainly wouldn’t be happy should we land Jack Wilshere on a free transfer this summer. We have previously pinched top stars Robin van Persie and Alexis Sanchez from the North London club.